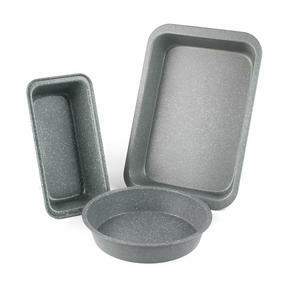 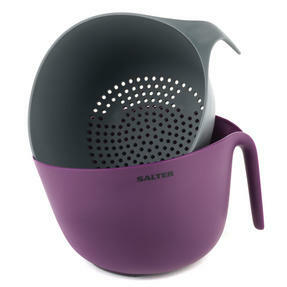 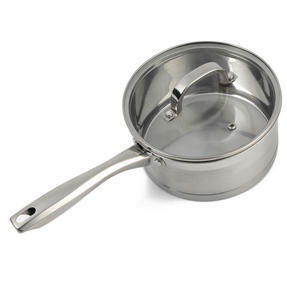 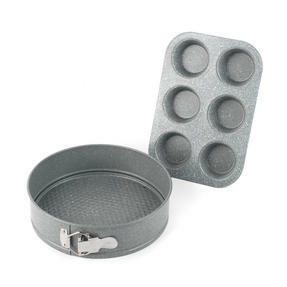 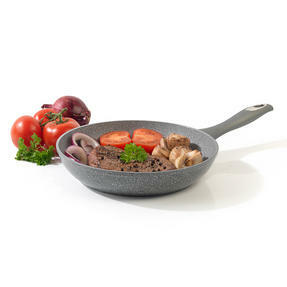 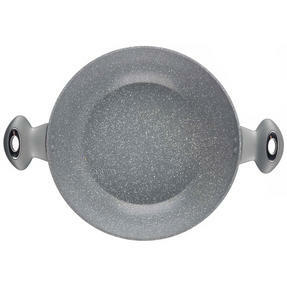 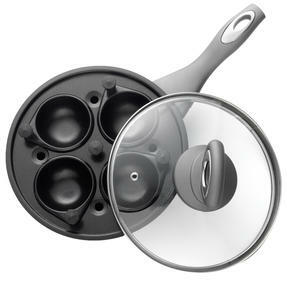 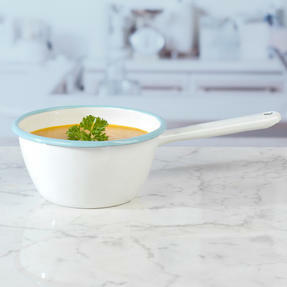 This stylish Salter milk pan, saucepan and colander set is a perfect addition to any cookware collection. 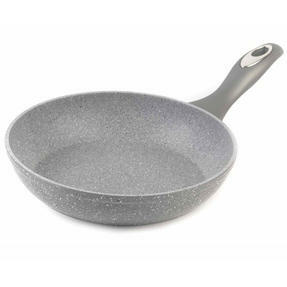 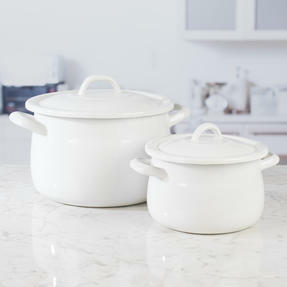 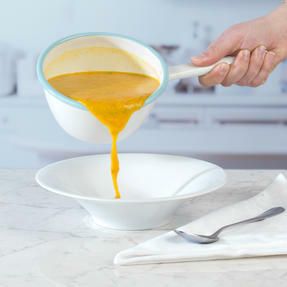 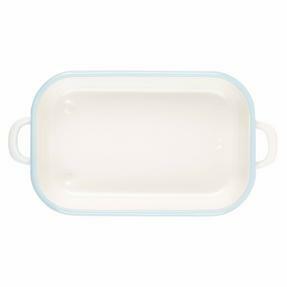 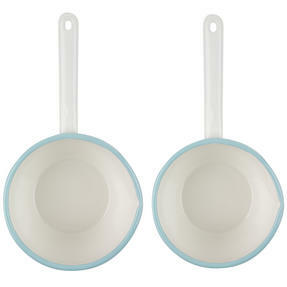 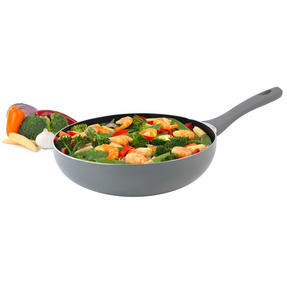 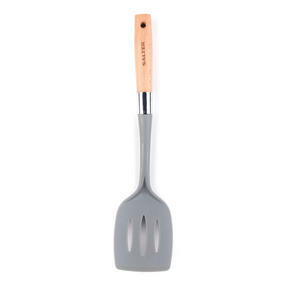 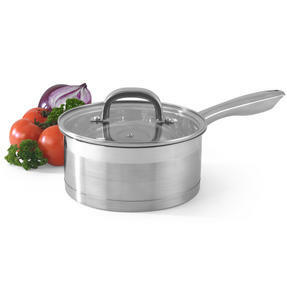 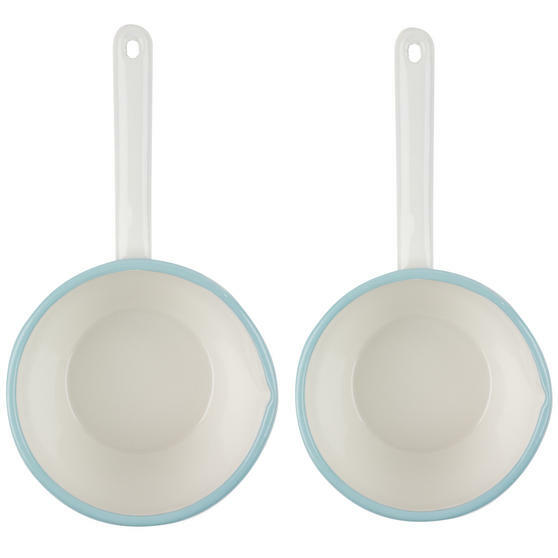 The milk pan measures 14 cm and is great for heating up soup, milk and preparing sauces while the saucepan is ideal for making pasta, rice and more. 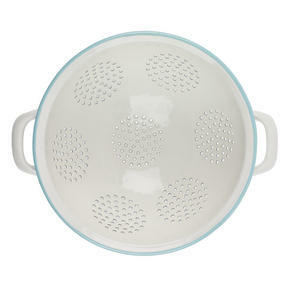 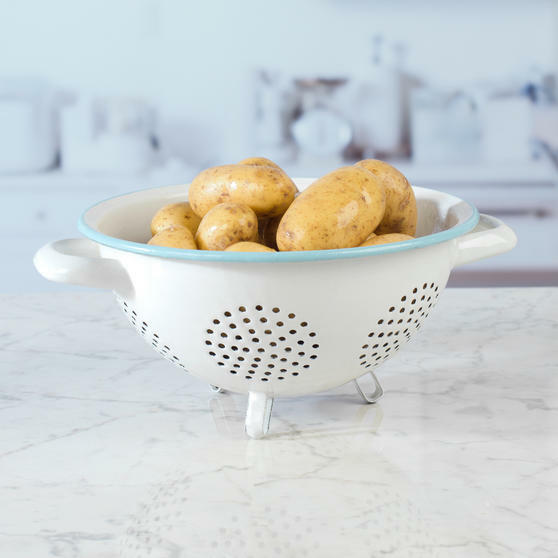 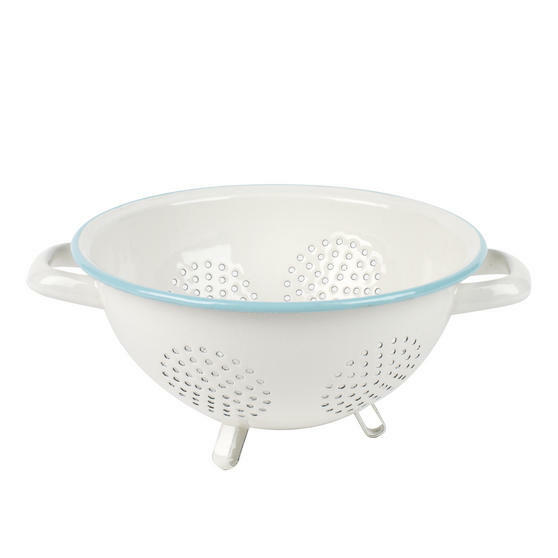 Once cooked you can easily drain any of your ingredients with the conveniently designed footed colander included. 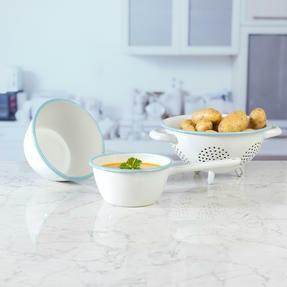 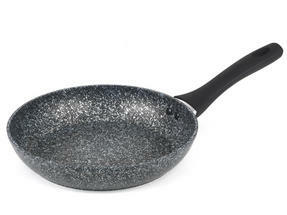 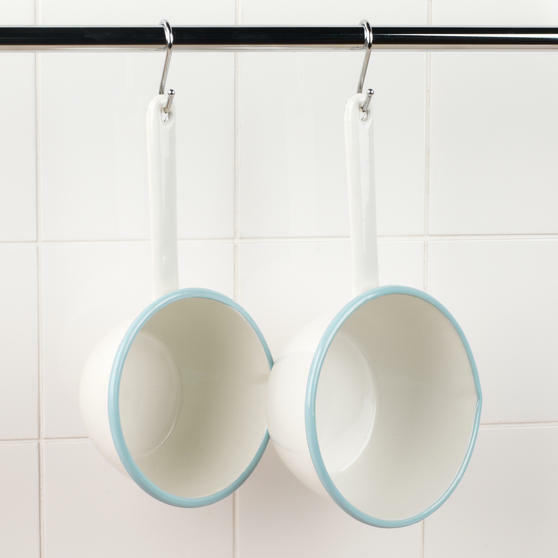 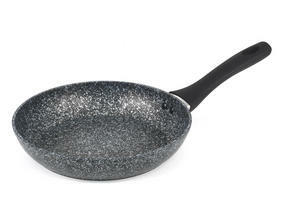 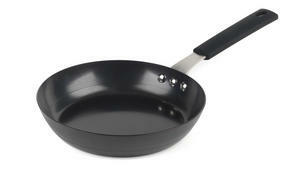 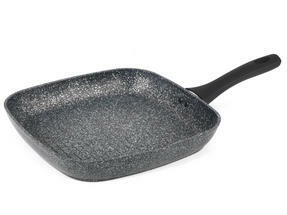 Each part of the set is made from steel with an enamel coating for a retro look that combines style with practicality. 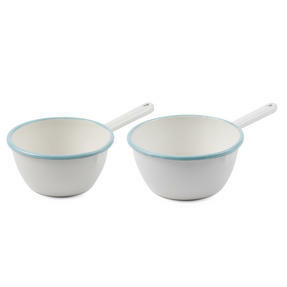 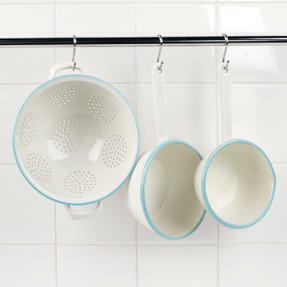 Finished in a stylish cream and blue enamel, this retro milk pan, saucepan and colander set from Salter is ideal for any home cook. 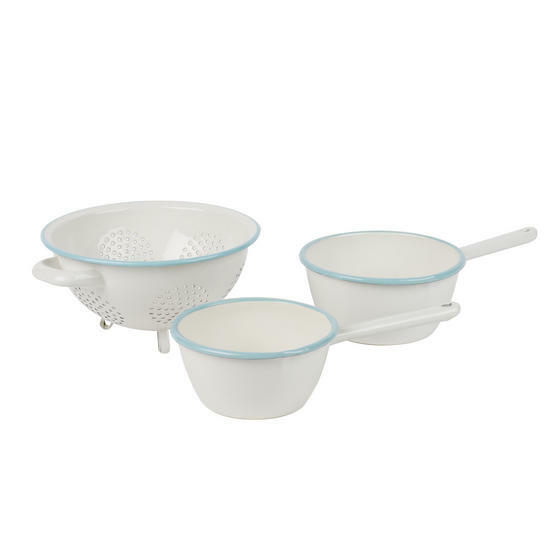 This beautifully retro set contains a 14 cm milk pan, a 16 cm saucepan and a 20 cm colander, perfect for a range of culinary tasks. 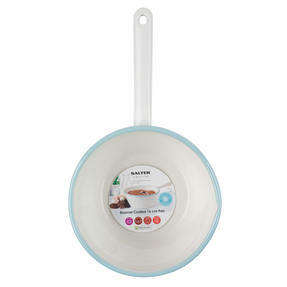 A stylish retro design, each item has a cream exterior and an eye-catching blue rim making them a stylish addition to your cookware. 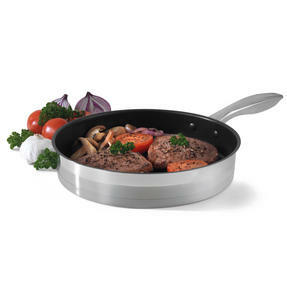 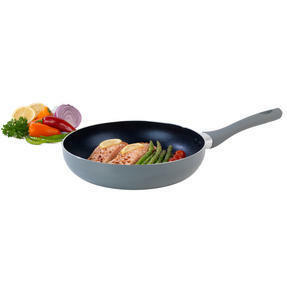 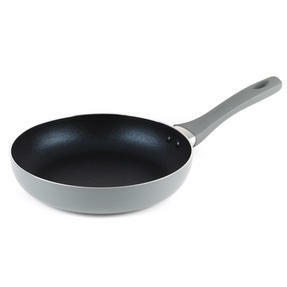 Suitable for gas hob, electric solid hob, halogen and radiant ring, the pans are perfect for preparing small meals and side dishes. 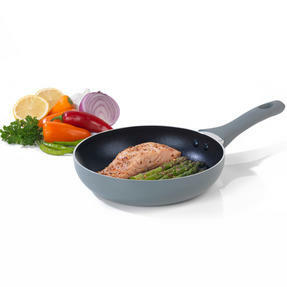 Ideal for any new home owners or if you simply want to add more style to your cookware this set will look brilliant in any kitchen.